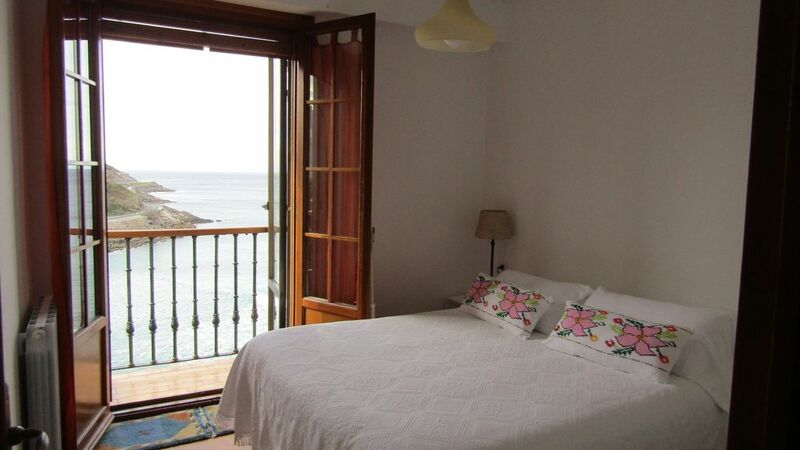 Small cozy apartment ideally located in the old part of Getaria. Its orientation is twofold: it gives morning sun in the kitchen (northeast) and later in the bedroom and living room (southwest). Hump ​​is a municipality of 2,600 inhabitants and home to the designer Cristobal Balenciaga and navigator Juan Sebastian Elcano. The house is located in a quiet street overlooking the sea, the beach, vineyards and the Balenciaga museum. This year (2013), Getaria is number 41 in the list of ‘The New York Times’to visit in the world. Stayed for a week in this clean nice flat with seaview in two directions and both morning and evening sun to enjoy. Well equipped. Close to the beaches. Close to supermarkets and pinxos bars. Very hospitable owners who can help you get a flying start of your vacation with tips and recommendations. We had a splendid time here and would recommend it to anyone contemplating a stay in Getaria. Its probably one of the best places we have stayed! Thank you for your words. We are happy because it has been a quiet place for you. Nos hemos sentido como en casa, el apartamento es pequeñito pero muy acogedor, las vistas excelentes y la dueña muy maja. Al haber estado entre semana hemos percibido la esencia del pueblo y de sus vecinos. Excelente. Si fuese un poquito más económico le daría las cinco estrellas, pero no me quejo. Une vue magnifique sur l'océan. Les photos correspondent parfaitement à la réalité. Getaria can be reached both from Bilbao (85 km) and from Donostia (25 km). Once in Getaria, San Roke Street is located near the main square where the town hall is located. Specifically the apartment is 40 meters from the town hall. La tarifa inicial es para dos personas y varía en función de número de noches, Hay un suplemento para la tercera persona. Entrega de llaves realizada por la propietaria. Ayudamos a aparcar y esplicamos la ubicación de las tiendas, los restaurante, la oficina de turismo, el autobus, las playas, los servicios suplementarios etc. Existe la posibilidad de alquilar un parking cerrado.